Spent the afternoon on Christopher Lake. Did a little sledding. Tried to teach the kids to skate a bit (first time for Luke). Made a roofless igloo. Played polar bears. Watched some skidooers and dogs. It was a good afternoon. I may post more of the day’s pictures later. My photoblog has also been on hold since August, which frustrates me. I haven’t taken many photographs since then. I hope to find time to update, if only from old material. 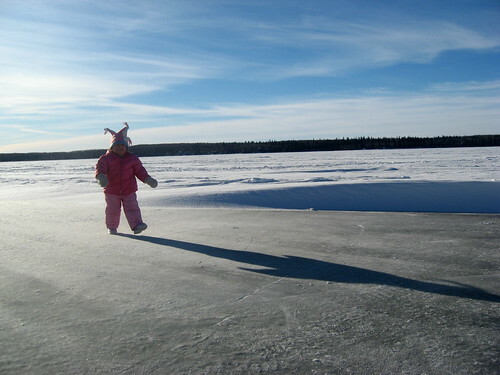 This entry was posted in Family, Photography and tagged Christopher Lake, holiday, photoblog, Photolicious, pictures, vacation on January 17, 2009 by Marc.